If you’re like many homeowners, your roof is something you only pay attention to when there’s a problem. If you look out for the signs that you need a new roof, you may be able to avoid emergencies by replacing the roof before a serious issue damages your home. Most asphalt roofs are designed to last from 20-30 years depending on the shingle type, with normal wear and tear. Roofs made from metal can last 40-80 years and tile roofs have been known to last over 100. Deciding to keep an older roof is not a good way to save money. It’s likely less energy-efficient than modern roof systems and less aesthetically appealing. There may also be hidden problems that promote moisture and leaks when you have an old roof and a patchwork of fixes. One or two of these may not indicate a problem, and just a few can be easily replaced. But if your roof is a mixture of flat shingles, gaps, and curled or buckled shingles throughout, these are indications that age is taking a toll and you need a new roof. You may also notice pieces of deteriorating shingles in your gutter, which can lead to blocked drainage systems and water pooling. Moss, algae, and mildew on a roof may not do much damage below the surface, but they can weaken your shingles and make them less able to protect your home. Widespread growth or large patches of moss can signal a moisture problem in that part of your roof or substrate that needs to be checked out. Watermarks on walls or ceilings, swollen or bubbling plaster, and the presence of mold or mildew are classic signs of a water leak. By the time you see the evidence, the roof has probably been slowly deteriorating over time. If the water is entering through the roof, you may need a new roof. This is a problem you may not notice up close. Go out to the sidewalk or far enough from your home to get a full view of the roof from a distance. If you notice sagging, saddling, or buckling anywhere, this could indicate an ongoing problem and eventual collapse. Sagging is usually caused by excessive weight from water pooling or heavy snow from season to season, improper roof installation, or lack of insulation. It can also be caused by a deteriorating foundation or rotting substructure, often the results of excessive moisture or water pooling around the base of your home. Sagging is a definite sign that you need a new roof. Flashing is the sheet metal collars that go around the bases of chimneys and vents to prevent interior leaking and divert water to a lower point in your roof. If it’s missing or curling away, that means that the caulking underneath is dried out and crumbling. This is another problem that doesn’t happen overnight, but it can lead to moisture damage, rot, and mold if not addressed. Grab a ladder and take a walk around your roof. If you don’t feel comfortable doing this, hire a professional inspector. If it feels spongy or soft in certain areas, that’s a sign of moisture damage or rot underneath the shingles. 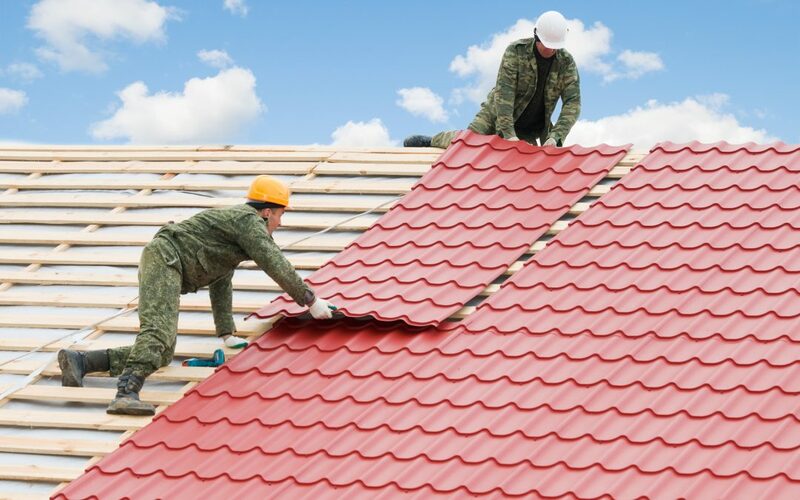 There are a few possible causes that only a roof inspection can uncover. The solution is usually to replace the rotting substructure and roof materials. Whether your roof is showing signs that it’s time for a replacement or not, annual roof inspections are a proactive measure to keep your home safe and sound for your family. JS Consulting Group offers home and commercial inspection and consulting services to Southern California, including Los Angeles, Riverside, San Bernardino, and Orange Counties. Contact us to book an appointment.